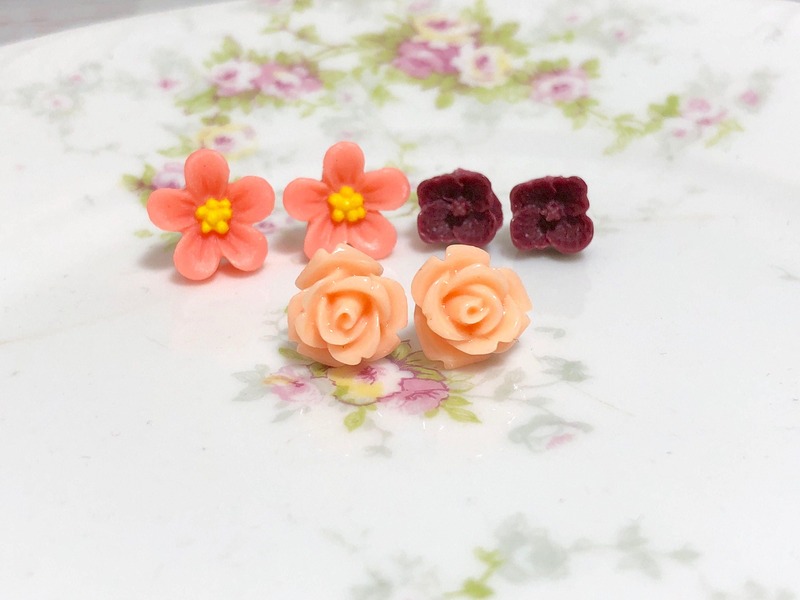 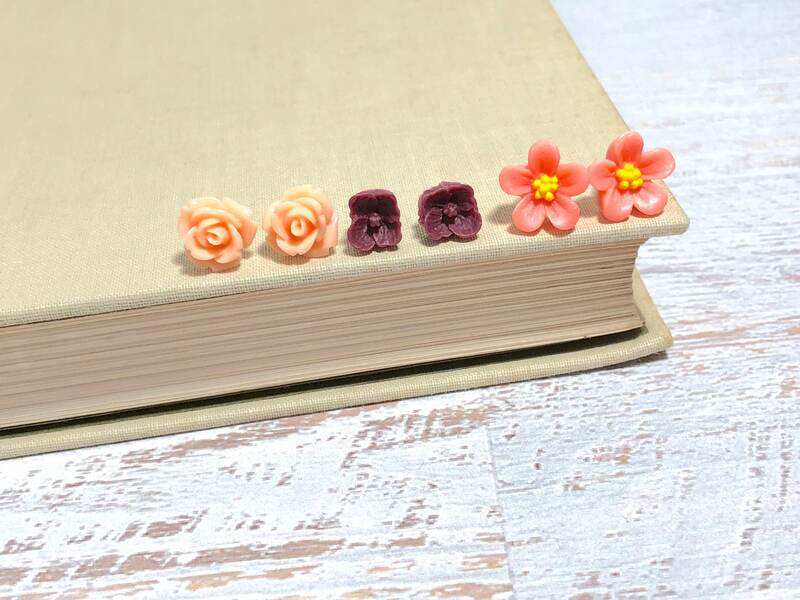 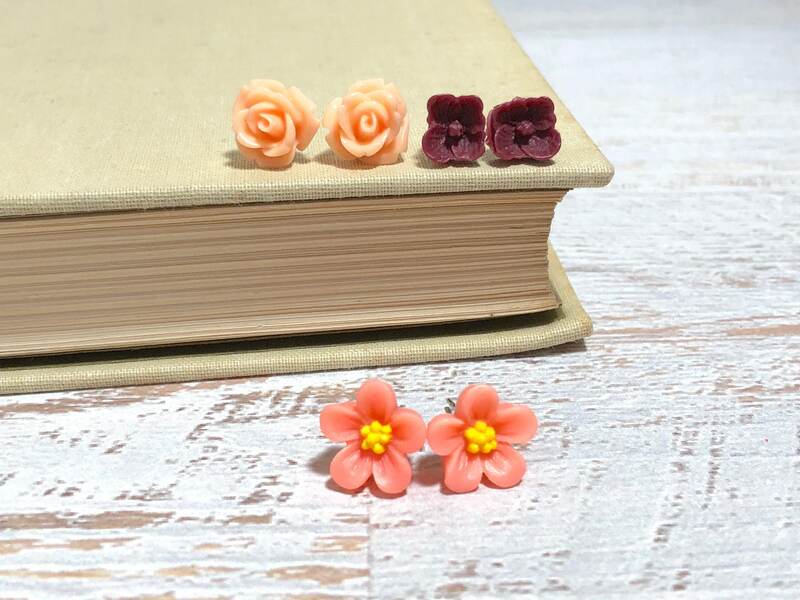 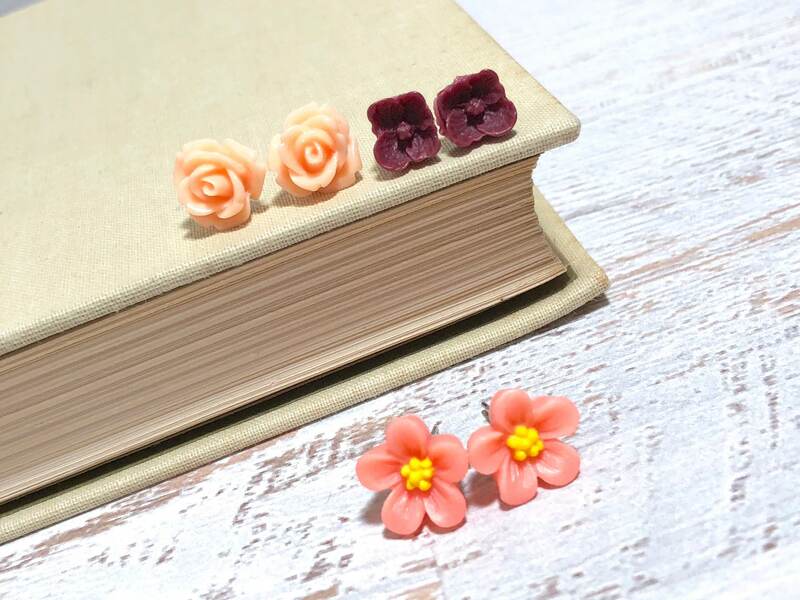 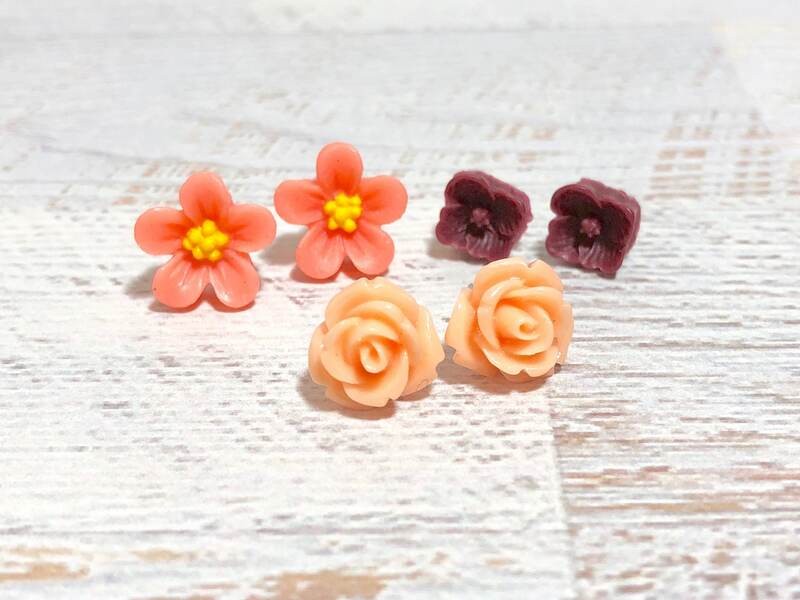 I made this lovely flower stud earring set with peach daisy cabochons, a dark reddish brown flower cabochons, light salmon pink rose cabochons and stainless surgical steel ear posts, . 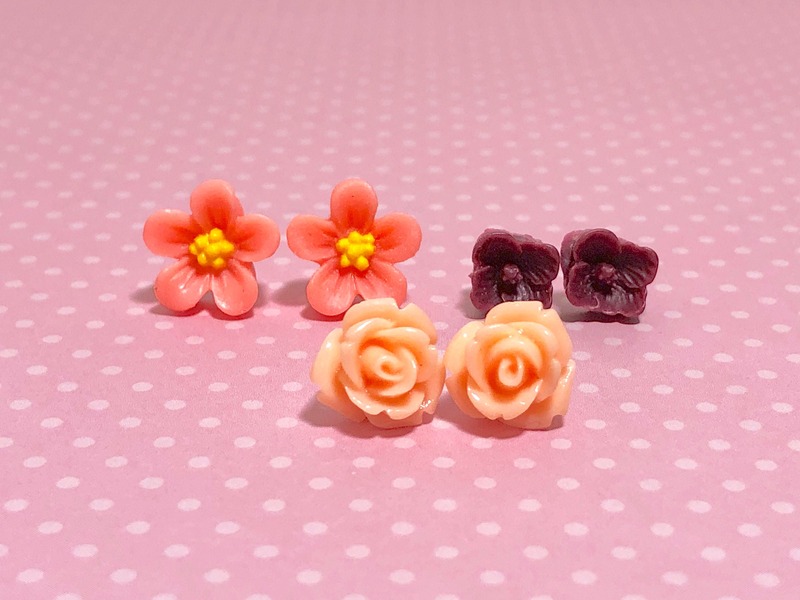 All of my stud earrings are MADE TO ORDER, please allow up to 72 hours for me to assemble prior to shipping. 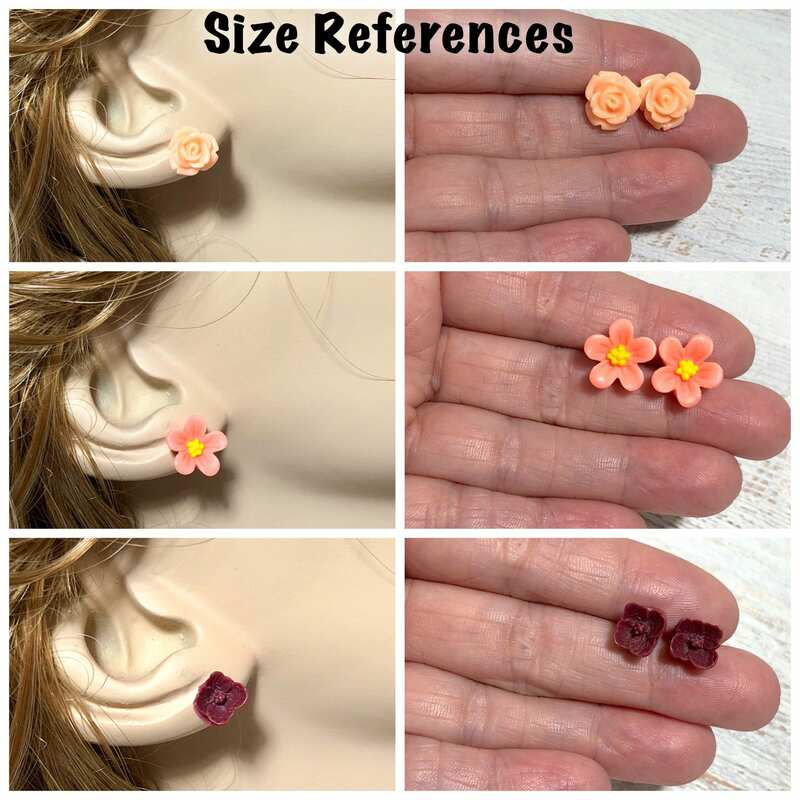 Thank you for your patience and understanding!